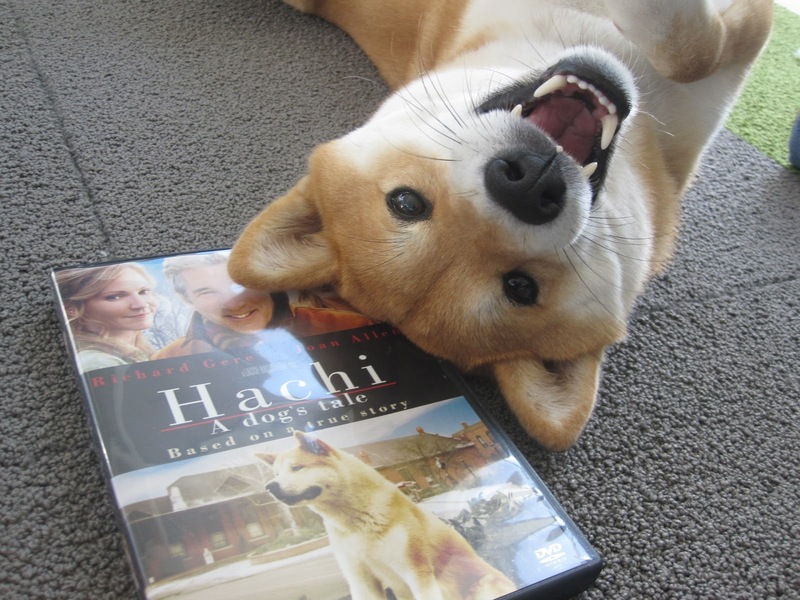 I watched "Hachi: A Dog's Tale" the other day with my family. 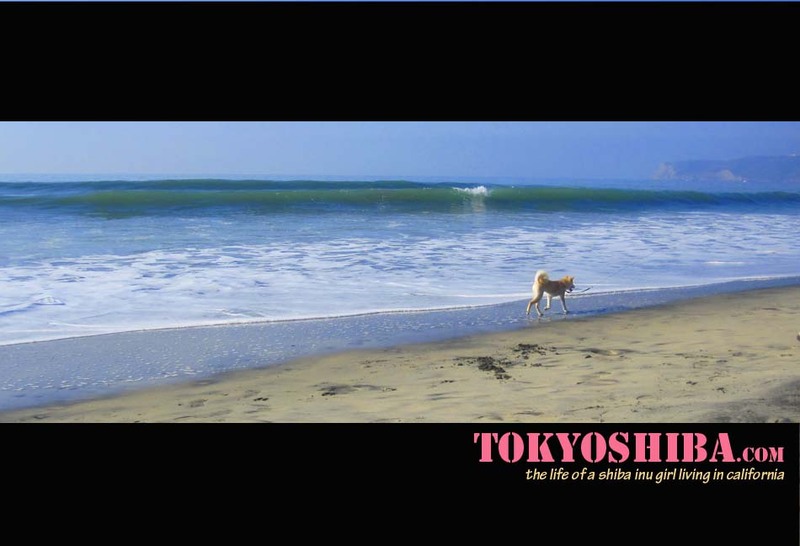 The dog's part in the movie is first played by a Shiba Inu for the puppy phase and then an Akita. Anyway, despite having cute moments, the movie was sad. The kind of sad that if you don't cry there must be something wrong with you kind of sad. 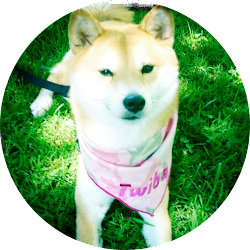 Hachi only lives with his new family for about a year and a half before the tailspin moment occurs. Hachi was an amazing dog, no doubt. His love and loyalty is unquestionable. But I think he deserved better. I'm disappointed in the humans. What was up with the disconnected Mom? How come she didn't take care of Hachi after her husband's death? How about proper food and a warm safe place to sleep each night? Living on the streets as a stray for almost 10 years just doesn't seem okay. The real Hachiko was an Akita born in Odate, Japan in 1923. Hachi spent 9 years after his master's death waiting for him to return. 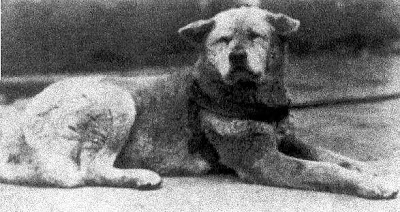 Hachi died in 1935 still patiently waiting for his master. Hi Tokyo - I agree with you!! Why no one adopt Hachi after the professor dies?? Mom refuses to watch cuz she knows she will cry. We bought the movie knowing full well we would cry and loved it anyway. Probably didn't help we watched it while our own Akita, Ruby, was slowing losing her battle with cancer. Still, I thought it was very well done. But I'm with you...couldn't someone have given the poor pup some shelter? Even if Hachi wanted to be obstinate and not live with the wife, seems like enough people cared he could have had a decent place to sleep. Hachisan wouldn't go home with anyone. People tried to take him home and he just returned. A place for him to sleep was made at the station and the station master fed, watered, and waited with him everyday for years. People of Japan knew of Hachisan's loyalty, a characteristic highly prized in Japan. To take him away from his loyalty would have been to take away his pride and essentially his soul. People left Hachisan because they knew he was loyal to his master. Hachisan died alone, but honorably. Though I don't believe in heaven, I believe in a form of afterlife. Hachisan is with his loved one. I read where the real Hachi went to live with the professor's gardener after the professor died. Hachi had established a daily routine of waiting at the station, and it was a routine supported by the humans in his life. Why not continue? It was "his job"! As far as being cared for by humans; his long life (11-12 yrs) is indication that he likely received the best commonly available for a dog of his day, age, and location. My brother and his family live in a rural area, and have two rescued Akitas. They are loyal and affectionate, but in a dignified way. And they are excellent with his little children. When visitors arrive that the dogs don't know, they position themselves calmly and quietly on the front walk, and just stand there and stare. It's eerie....and enough to keep 99% of people in their vehicles....If you can put up with their huge shag of fur and their rather cat-like independent manner(not easy to train), and you can provide a space that is cool in summer and cold in winter---the Akita Inu is a great canine family member.